This Sunday, September 28, is Gold Star Family Day, a day to honor and recognize the sacrifices of Gold Star Families. 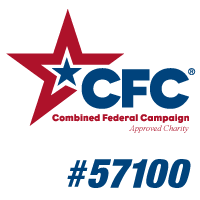 Learn more in our first article and sign the pledge today. Also, check out the table of contents to the left for additional topics of interest covered in this issue. This Sunday, September 28, is Gold Star Family Day and in honor and recognition of the losses and sacrifices the families who have lost a loved one in the line of duty have faced, we would like to encourage groups and individuals around the country to mark this occasion by lighting a luminary at dusk in remembrance of those who have made the ultimate sacrifice on our behalf. Marine Parents is proud to sponsor the Columbia, Missouri showing of "Remembering Our Fallen," a poignant, emotional tribute to the brave men and women who have made the ultimate sacrifice in defense of America. "Remembering Our Fallen" exhibits travel around numerous states, showing photographs of each of the service members from that state who have lost their lives in battle since 2001, including more than 140 from Missouri. This is the second consecutive year that Marine Parents has sponsored this exhibit, scheduled to coincide with our Gold Star Luminary Initiative, an annual event held on the last Sunday in September, known as Gold Star Family Day, to honor and recognize the loss and sacrifice of Gold Star Families . To learn more about "Remembering Our Fallen," please click here. To learn more about the exhibit being sponsored by Marine Parents in Columbia, Missouri from September 22 until October 5, please click here. 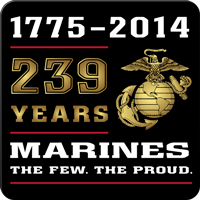 The United States Marine Corps celebrates its birthday on November 10, 1775, the day the Second Continental Congress passed the Continental Marine Act of 1775 ordering, "That two battalions of Marines be raised...". The Marine Corps' birthday is a day of pride and respect, and its celebration is one of the most revered traditions in the Corps. 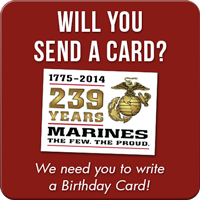 Each year on November 10th, Marines around the world celebrate what they see as their "second" birthday, the day the United States Marine Corps was born. 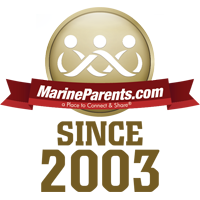 Marine Parents Teams Up With an American Legend! Legendary music artist and long-time troop supporter, Charlie Daniels, performed a concert on August 15, 2014 in Boonville, Missouri. Marine Parents staff were thrilled to be able to provide tickets for the show to veterans of multiple eras-from World War II to Iraq and Afghanistan. 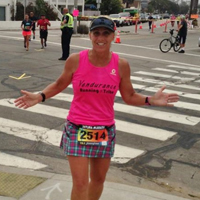 Thank you to everyone who took the time to vote for Lisa Anderson to be on the cover of Runner's World magazine! As many of you may have read in our August 14 edition of Marine Parents News, Gold Star Mother Lisa Anderson, who began running 10 years ago to help with the grieving process after her son was KIA in Iraq, was recently entered in a contest to be featured on the magazine's cover. The voting period for the contest has ended and the votes are now being tallied. We'll make sure to keep the updates coming as we have more information to share! 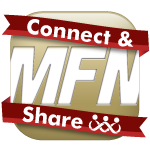 This issue's TMP featured participants are a proud Marine Dad from Connecticut, Kurt Berky, and a proud Marine mom from North Dakota, Sonia Brownotter. 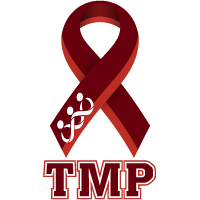 Kurt is a returning TMP member, having also run for the team last year, and is running in support of the Warrior Support Team. 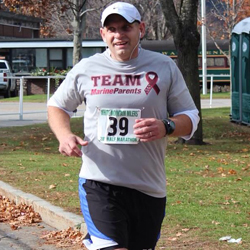 He ran the Lake Placid, NY, Iron Man race in late July and will be running in next month's Marine Corps Marathon. So far, Kurt has only raised $230 of his $500 goal, but with your generous donations, we know he can reach it in no time! 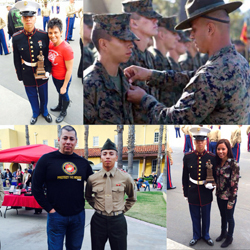 In addition to being a proud Marine mom, Sonia is also a Marine wife. Her son graduated boot camp earlier this year and she has been married to her Marine husband, Brady, for more than two decades. When her son left for boot camp, Sonia used running as an outlet and a time to think and pray. 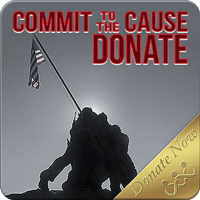 Sonia will be running in support of Team Marine Parents in next month's Marine Corps Marathon. She's already surpassed her $500 goal, but will gladly accept more generous contributions on her behalf. 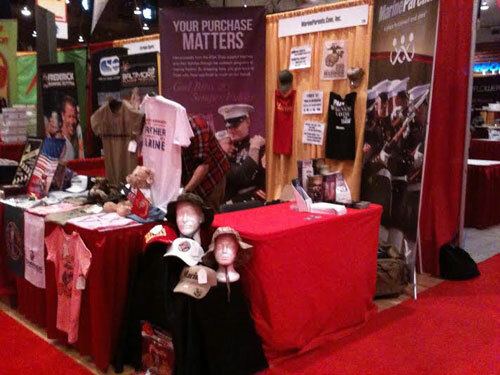 Our booth at the fair. On September 6, Marine Parents was honored to attend a veterans' resource fair hosted by the VA St. Louis Health Care System at the America's Center in St. Louis, Missouri. Roughly 2,500 were in attendance to browse the 100 booths that were set up to provide information on a variety of resources and services, including, but not limited to, employment & training services, veterans' benefits, and legal assistance, to military veterans. 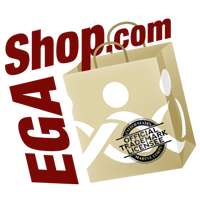 Marine Parents used this opportunity to provide veterans in the St. Louis area with about the Warrior Support Team, our Warrior Reintegration Bags, and to invite people to our Gold Star Family Day ceremony in Columbia, MO, on Sunday, September 28. 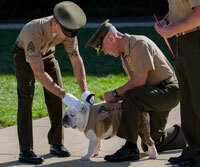 Marine Corps mascot Chesty XIV was promoted to Corporal at the end of last month in a ceremony at Marine Barracks Washington, D.C. The ceremony, which took place August 29, was overseen by Marine Corps Sgt. Maj. Michael Barrett and Commandant Gen. James Amos.